TL; DR: When Rohan Thakare founded WisdmLabs, an open-source web application development business, he worked in a one-room, 300-square-foot office. At first, he found his clients through elance.com, but by adopting smart marketing strategies and delivering strong solutions, he grew his company into a 120-person operation. Now, WisdmLabs is working on a number of new projects, from turnkey bundles to a revolutionary way to deliver WordPress apps to entrepreneurs and startups. Whether the company’s working with clients or supporting environmental nonprofits, WisdmLabs is dedicated to making a positive impact. When Rohan Thakare founded WisdmLabs in 2012, his goal was to create value for his company’s stakeholders and create quality applications for his clients. Although his business has changed dramatically over the last six years, the fundamental tenets haven’t. WisdmLabs is still dedicated to the mission statement that guides Rohan’s open-source web application development company. 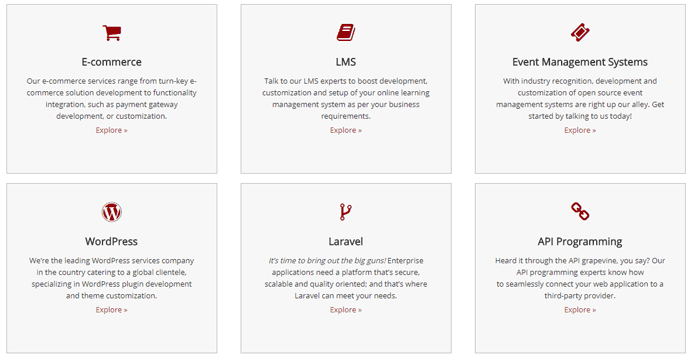 Today, the WisdmLabs team supports everything from eCommerce, eLearning, events, and WordPress to Moodle, Magento, and Laravel, among others. The company’s ability to react to each customer’s individual needs explains why entrepreneurs, such as Atul Kumar, the owner of K21Academy, have praised WisdmLabs’ services. When Rohan founded WisdmLabs, he worked in a one-room, 300-square-foot office located in Thane, India. “In those early days, Rohan’s biggest challenge was to convince his first employee to work for a company that had no other employees,” said Sagar Sheral, Products and Digital Marketing Manager at WisdmLabs. But Rohan managed to land great talent, and his first employee, Praveen Chauhan, and all the initial hires still work at WisdmLabs today. Sagar Sheral (L) and Samrat Roy (R) told us how WisdmLabs is committed to furthering open-source technologies. Still, business wasn’t steady. One month, they would be drowning under a flood of new clients. The next month, they would face a drought of projects. Wanting to create a steadier source of income, they decided to sell their WordPress apps not just to individual clients, but to the entire marketplace. As business took off, WisdmLabs’ growing team moved to a bigger office. When that space became too small, he opened a second office 150 miles away in the city of Baner. While WisdmLabs created a steady revenue stream by selling WordPress plugins, it never stopped building relationships with the clients who needed individual solutions for their own websites. WisdmLabs tailors its solutions according to the needs of its customers. WisdmLabs’ sales team doesn’t quit after it has solved a client’s problem — the team stays involved, with the aim to continue to improve workflows. Sagar told us his primary job is to concentrate on the products that WisdmLabs makes. WisdmLabs’ goal is to help individual entrepreneurs, small start-ups, and businesses that are building eCommerce websites. WisdmLabs delivers products that can be bundled together for a number of use cases. Another bundle is for customers who sell small products in bulk. And, as Sagar noted, WisdmLabs’ one-click website builder is aimed specifically at those businesses. Sagar told us he is especially excited about a second project that WisdmLabs is developing. “It’s called Epitrove, and it is a curated WordPress marketplace,” he said. WisdmLabs came up with the idea because the company wanted to do something new. Sagar told us that the WordPress industry has become saturated over the last few years. As a result, a lot of freelancers and development companies are building products and selling them on Envato — a WordPress marketplace. In addition, Sagar noted that, many times, customers do not get the right support from vendors on Envato. But, according to Sagar, the idea isn’t to compete with Envato. And Sagar noted that these factors determine whether a product will be added to the marketplace. The deciding authority would be WisdmLabs’ own products teams. 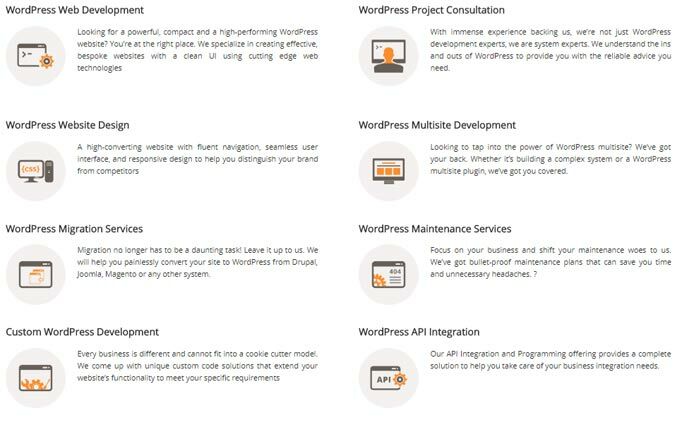 WisdmLabs offers a central location to source a number of WordPress solutions. That’s not the only issue. Samrat Roy, WisdmLabs’ Digital Marketing Executive, told us that pirate developers find good and expensive products, violate their licensing systems, and then resell them at significantly cheaper prices. “That reduces the incentives for honest developers to build quality solutions,” Samrat said. WisdmLabs wants to make the process of buying WordPress apps smoother, easier, and more honest. And, according to Samrat and Sagar, that’s just what Marketplace will do. Perhaps most importantly, WisdmLabs’ Marketplace will exclude developers who violate licenses. The reason WisdmLabs has become a growing and successful company is that the WordPress community has supported Rohan Thakare and the rest of the team since day one. Marketplace is their way of giving back to the community that continues to give so much to them. But, as Sagar noted, WisdmLabs’ commitment to progress doesn’t end with the WordPress community. From June 4 to the 13th, WisdmLabs donated $1 for every sale it made, giving that money to charities that protect the environment. The company also did a tree plantation drive with great results.